I am glad to know that this work is being published and perhaps will get the wider audience it deserves. I still come to this site quite often for light in a world that seems darker than it needs to be. You have my gratitude and hope that this site continues on to give people hope and encouragement in the future. When searching for "If the Moon Came Out Only Once a Month" I found your message about the soon-to-be published book. Thanks so much for this amazing online collection. I hope you can let me know when and where it can be purchased. In gratitude! Glad you found the project, Susan. Enjoy it! 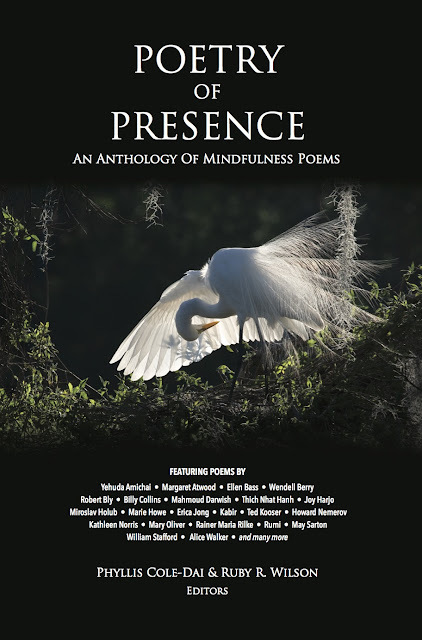 And if you'd like to be informed about the release of POETRY OF PRESENCE, I'd recommend that you either sign up for mailing list at http://www.poetryofpresencebook.com or follow us on Facebook (@PoetryofPresence) or on Twitter (@PoetryofPresenz). That way you'll be sure to get the word! I appreciate your interest!